When we are busy rushing from place to place and doing everything for everyone else sometimes we forget about ourselves. We send the kids out looking picture perfect and half the time we haven’t had a chance to shower and we just threw on yesterday’s clothes. 1. A good, low maintenance hairstyle can change everything - It’s amazing what great hair can do for you. So whether it’s a haircut that you love or an easy up-do that hides the fact you haven’t washed your hair all week, if you hair looks pulled together you’ll feel fantastic. 2. Your favourite outfit - Do you have that one outfit hanging in your wardrobe that makes you feel fabulous… but you never have anywhere to wear it? Well, wear it now! Get it out and put it on. If you feel great, you’ll look great, no matter what you have on. 3. Moisturise - every day! - We know every second counts in the morning but taking a few minutes for yourself is essential. Having a good skin care routine is something that you will thank yourself for later in life. 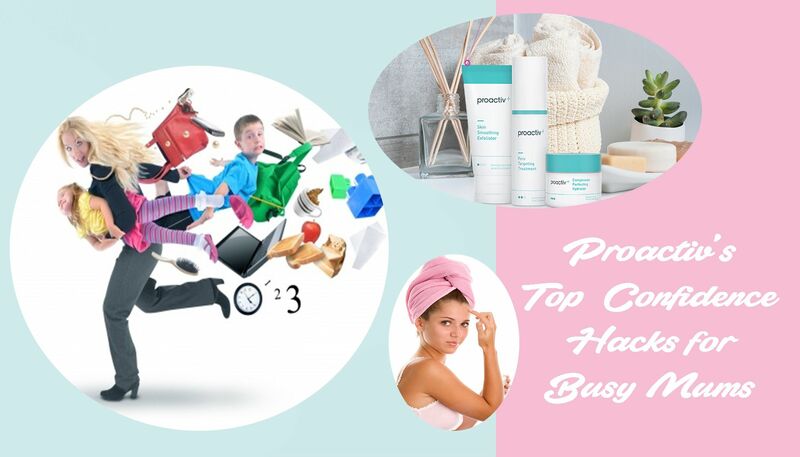 Our Proactiv + will leave you feeling confident. Trust us! 4. A little makeup goes a long way - Every woman has something they love about themselves, whether it’s how they look with lipstick on, or how their eyes look with mascara- there’s always that one thing. So take the time to do it! It only takes a second to put on your favourite lipstick or a swipe of mascara so no excuses. You are worth the extra effort. 5. Do what makes you happy - To truly feel confident we have to remember who we are as people and what we love doing. So if a morning walk on the beach helps you feel better, then make the time for it. If you love to sing, sing loud and proud! Doing what you love gives you confidence and makes you glow. So get back out there! Tell us what makes you feel confident... .